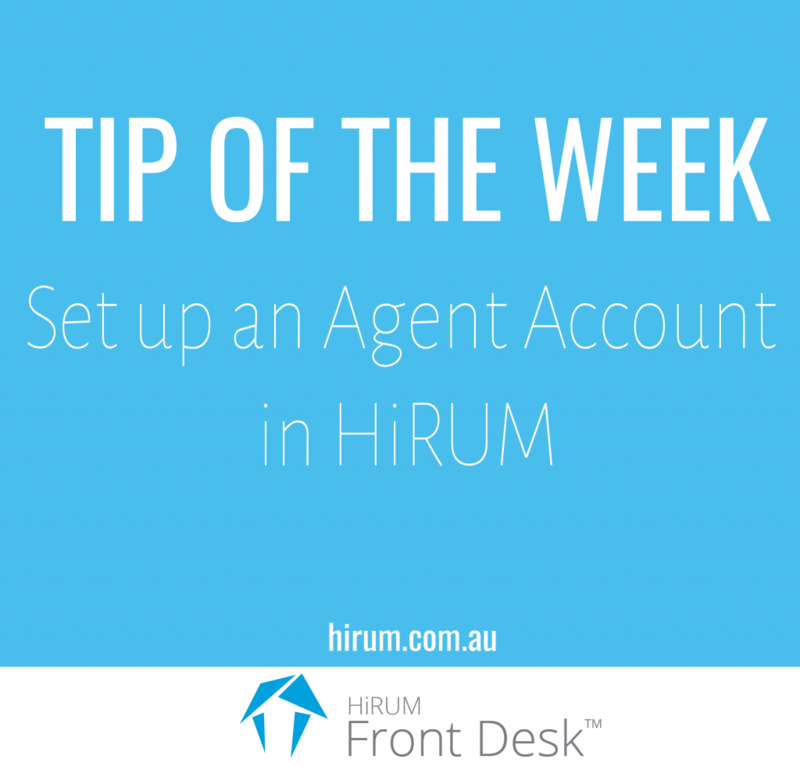 The following tutorial will assist you if you want to set up an agent account in HiRUM. To add a new Agent to your list of Agents, go to the Agents icon. Click on to the insert button on the right hand side of this area. Enter an agent code, a description and complete the contact details for the agent. There is a fantastic opportunity to pre-set the marketing fields in relation to this agent that will see them automatically completed within a booking when the agent is selected. If you want to email statements to the agent, then tick the small white box and enter their email address. Now click on to the second tab on the right hand side named commission. If the agent is not receiving a commission, or if you choose to use net rates, then simply select the ‘No deduction, No rebate button’. Leave the rest of the set up to default as is. If the guest pays you directly and then you send a commission payable back to the agent, then select the middle button and ensure the second button is selected in the GST Handling area. Probably the more common method of working with Agents is that you use a gross rate for your booking and then you invoice the agent for the net amount, being that they keep their commission. So firstly, select the Deduct Commission and Send Balance method of operation. Ensure the Agent sends GST on Commission button is selected for GST Handling. Make sure that the Commission Rate area is set up as per the agreement you have with the agent and then over in the Payment area. Make sure that you select the method that the agent intends to pay you with. Click on okay and your Agent is now set up.